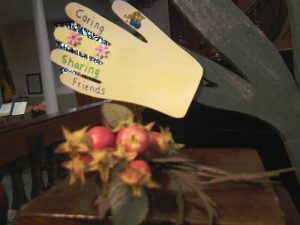 Our harvest festival service on Sunday 1 October was a happy occasion for the church family. Uniformed organisations paraded their colours and took an active part in the service. 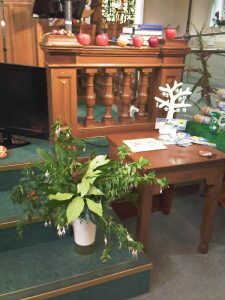 There was a dramatic presentation of the story of the feeding of the five thousand, a hands on telling of the story of the enormous turnip, puppets to teach us the actions to a song, and a video encouraging us not to waste food. 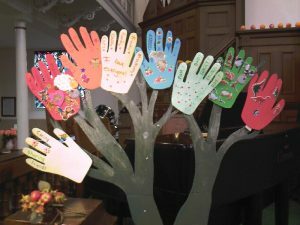 Some of the children’s art work was on display around the church. 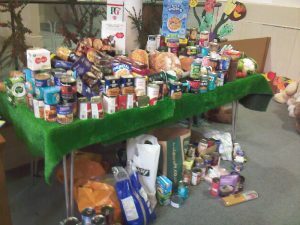 Tinned food was brought to church in aid of local hunger charity Nite Bite, which is supported by Churches Together in North Shields. 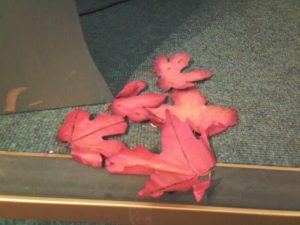 We recalled that God blesses and uses each contribution, and that even the smallest can make a difference. 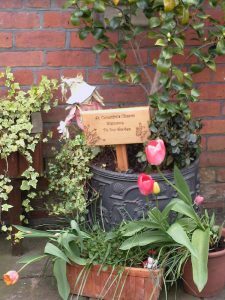 May has been a happy month for St Columba’s, with many welcomes. In a series of delightful services, we have received a new church member, ordained a new elder, inducted two elders, and baptised two children. It has been good to celebrate these special occasions with friends and family. At the beginning of June, we held a service of thanksgiving and dedication for two children, leaving them free to choose baptism as adults. 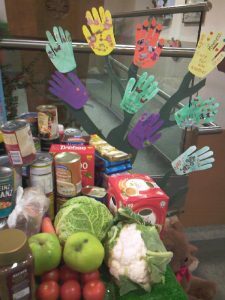 Easter at St Columba’s began with an electrical fault, making it harder for us to feed the hungry this week. However, we made the best of it, and eventually full power was restored. This year, we celebrated Holy Communion at all three Easter services, early morning, mid morning and evening. A fair trade breakfast was provided between the two morning services. 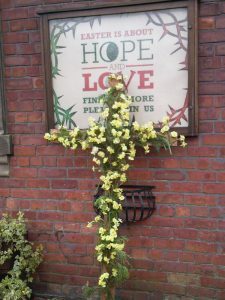 In our main service, we decorated a cross with flowers, which was moved outside to our small Easter garden afterwards, so that passers-by could enjoy it. Laura sang an Easter song as a solo. 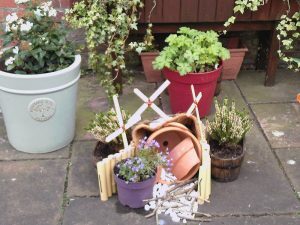 We also had a dramatised reading of part of the Easter story, and were reminded by our Pastoral Friend, Revd Gordon Connacher, that we need to have an open mind if we are to recognise Jesus among us. 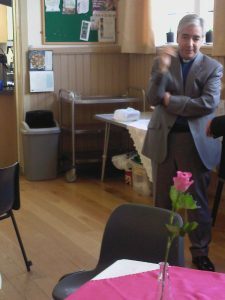 The Moderator of the Northern Synod, Revd Dave Herbert, made his first visit to St Columba’s on Sunday 5 March. 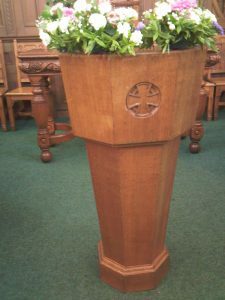 In the morning service, which marked the first week of Lent, Dave spoke about the cacophony of choices that confront us in our daily lives, and recommended spending time in peace and quiet, building our relationship with God and our knowledge of the scriptures, both for our own spiritual growth, and for the good of the world. 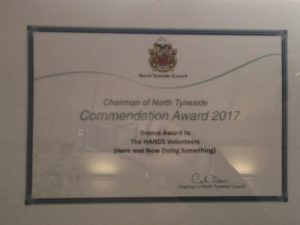 Dave commended St Columba’s for all that it was doing, including its weekly commitment to fair trade, and encouraged us to continue. Although we are in the process of seeking a new minister, the church continues to be the people of God, seeking to serve his kingdom in this place. 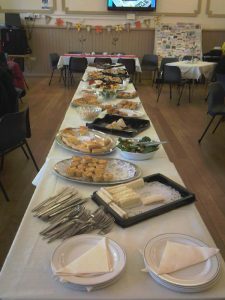 The service was followed by an abundant buffet lunch, giving time for us to spend with our Moderator and each other.